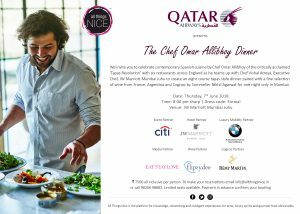 Tag Archives: Chef Omar Allibhoy of the Tapas Revolution. 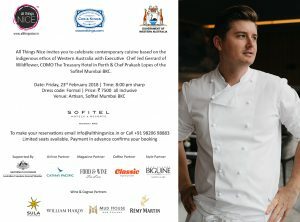 We curate bespoke culinary experiences by flying in Celebrity Chefs/Michelin Star Chefs, Winemakers & Winery Owners and Global Brand Ambassadors of Wineries and Distilleries from all over the world. 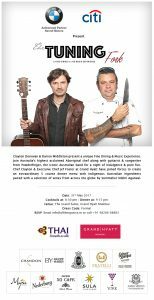 In the past year, All Things Nice has curated and hosted the India Tour for Tuning Fork with Clayton Donovan – Australia’s highest acclaimed Aboriginal Chef, Chef Jed Gerrard of Wildflower in Perth and Chef Omar Allibhoy of the Tapas Revolution. To know more, email info@allthingsnice.in if you would like to be part of the experience or if you would like us to curate such an experience specially for you.